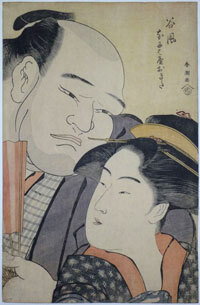 A double okubi-e showing the sumo wrestler Tanikaze juxtaposed to the oiran Okita. A superb composition. 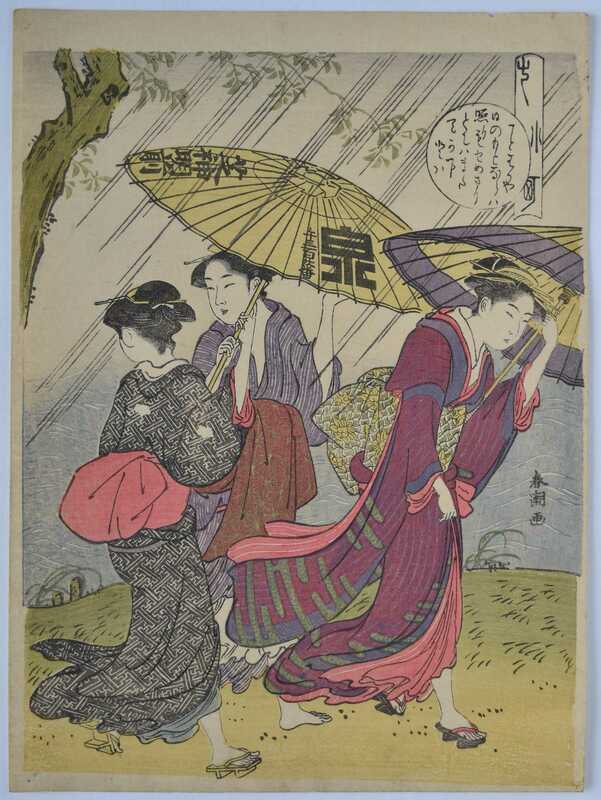 Of the utmost rarity: Another impression is illustrated in V. & I., 1911, no. 231, pl. LI, SCI/224. 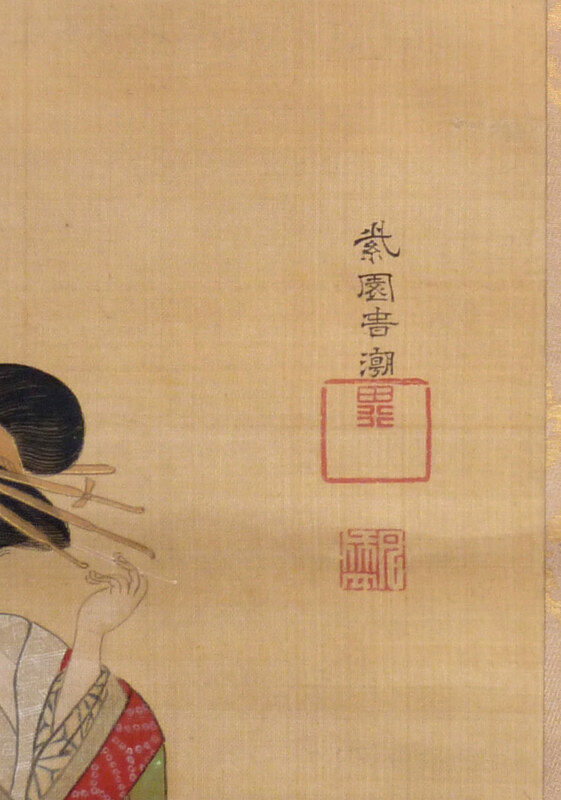 Impressions of the companion print, showing Onogawa and Takashima Ohisa are catalogued in Hillier, Japanese Prints & Drawings From The Vever Collection, Volume Two, Sothebys 1976, no. 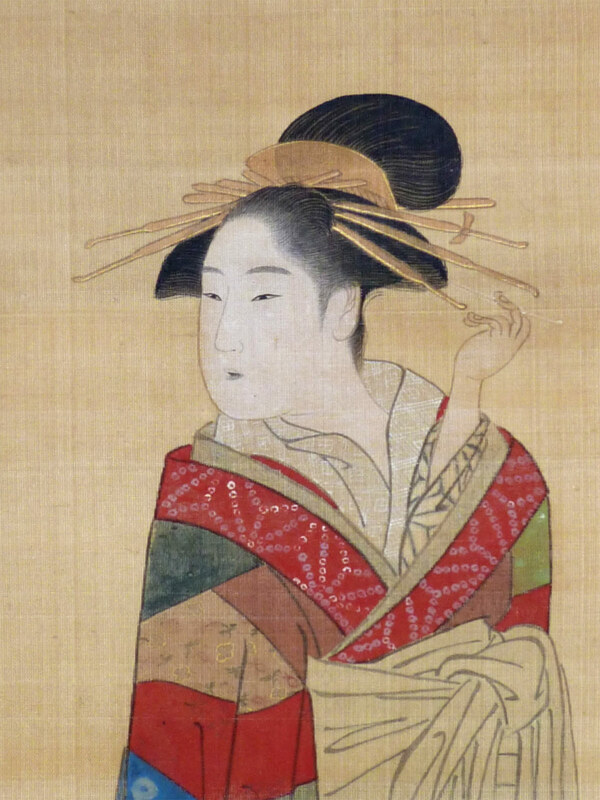 519, p. 497; Tokyo National Museum, TNM, vol. 2, no. 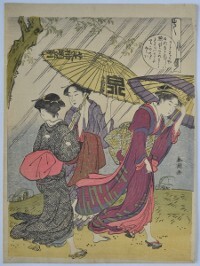 1722, and British Museum ( illustrated Hillier, Japanese Masters of the Colour Print, 1954, pl. 56 ). Published by Tsuruki c 1792. Ex collection Walter von Scheven, 1878 – 1950, and bought by him from Heinrich Tiedemann, Berlin in 1927. Very good impression and colour. Light yellow ground. Very minor soil, otherwise extremely good condition. Probably the best copy extant. Signed Shuncho ga.